Most, if not all, existing attribute inference attacks leverage users’ social friendship information and/or social behavioral information to infer the attributes of a target user. In this paper, we study this problem in a novel angle. Specifically, we study whether a user’s private attributes (e.g., age, gender, and education) can be inferred based on his or her query history, which is the first such attempt to the best of our knowledge. 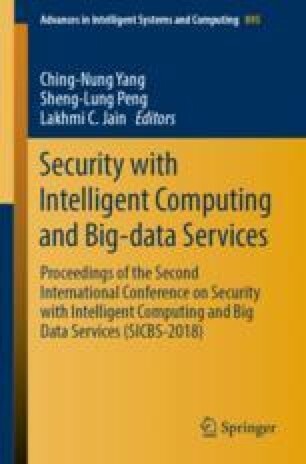 We present a thorough description of our query-based attribute inference attack and experimentally evaluate our method on a real-world dataset provided by Sogou. Experimental results show that our method can achieve 70.21% for the precision, 68.82% for the recall, and 69.50% for the F1-score on average. When predicting users’ gender, the proposed method has precision of 84.56%. This suggests that query records indeed disclose a significant amount of information about users. This work was partly supported by NSFC under No. 61772466, the Zhejiang Provincial Natural Science Foundation for Distinguished Young Scholars under No. R19F020013, the Technology Project of State Grid Zhejiang Electric Power co. LTD under NO. 5211HZ17000J, the Provincial Key Research and Development Program of Zhejiang, China under No. 2017C01055, the Fundamental Research Funds for the Central Universities, and the Alibaba-ZJU Joint Research Institute of Frontier Technologies.